« Concealed Carry True Stories – Armed Shopper faces down mall shooter in Portland. 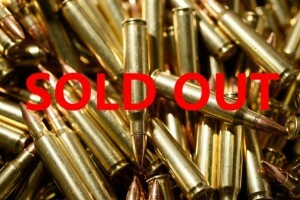 With all the talk about gun control lately, most retailers of ammunition and guns are sold out. There is an ammo shortage. People are going crazy buying up guns, ammunition, magazines, mainly out of fear that they won’t be able to buy these things later on. So, how do you find ammo during an ammo shortage? Well, you don’t. Generally speaking, trying to buy ammo during an “ammo craze” will only result in an extremely low selection to choose from (if any at all), and inflated prices. This is the absolute worst time to buy ammunition. The best way to buy ammunition is to buy in bulk during times when there is not an “ammo craze” going on (which is actually most of the time). This current ammo craze has kind of changed my plans, as I had been planning on making some large ammo purchases in January, but since the shooting in Massachusetts and the Democrats’ vomiting gun control rhetoric on a daily basis since then, ammo suppliers have no inventory and the ones that do have inflated their prices. So, what is the lesson to learn here? The lesson is to be patient, don’t get caught up in the ammo craze, and then use this knowledge to your advantage for the future. Recognize the patterns like this that happen over and over again. Realize that the ammo craze WILL eventually end and inventory will be available again, so when that happens go stock up then! Don’t wait for the next ammo craze and try to rush out and buy a bunch of ammo like the other scared sheeple. Think ahead. When will this particular ammo craze end? That’s a good question. My guess would be in a couple of months, but you never can tell for sure. As long as there aren’t any more mass shootings for a while, Democrats will calm down a bit on their gun control talks, and the main stream media will focus their fear mongering on other issues.